The Government has confirmed it is ending its Help to Buy mortgage scheme after three years. The scheme, which launched in 2013, helped thousands of Brits get on the property ladder by allowing them to put down as little as a 5% deposit. 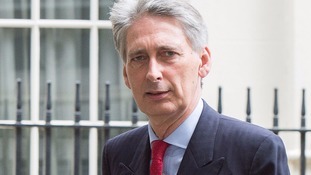 But Chancellor Phillip Hammond said it will close at the end of 2016 after "successfully achieving its purpose". New figures reveal that more than 86,000 households have been supported by the scheme. But the Government said it is no longer needed as confidence has returned to the market, with more private lenders offering 90% to 95% mortgages. Across all of the Government's Help to Buy schemes a total of 185,000 homes were bought, including over 150,000 properties for first time buyers. Mr Hammond said the Bank of England's Financial Policy Committee has assessed that the move to drop the scheme is "unlikely, in current market conditions, to affect significantly the provision of finance" to Britons hunting for a mortgage. He added: "It is important to note that the end of this particular scheme does not diminish in any way the Government's commitment to supporting those looking to get on the housing ladder." Ministers stressed there continue to be schemes to help Britons get on the housing ladder, including Help to Buy Isas and shared ownership. Sam Dumitriu, head of projects at the Adam Smith Institute, said Mr Hammond is "right to dump George Osborne's misguided mortgage guarantee scheme". Britain's housing crisis is the result of supply being unable to meet rising demand. Help to Buy only served to make this problem worse, pushing up prices through cheap credit, while doing nothing to address the underlying housing shortage. There is a better way. Liberalise our antiquated planning laws to allow new building in the areas that people actually want to live.